At least five people have been killed after an 8.2-magnitude earthquake struck off the southern coast of Mexico overnight. Buildings collapsed and thousands of people were evacuated after the powerful tremor struck off the coast of Chiapas, the country's southernmost state, just before midnight on Thursday. Mexico's president said that the earthquake was the strongest to strike the country in a century. 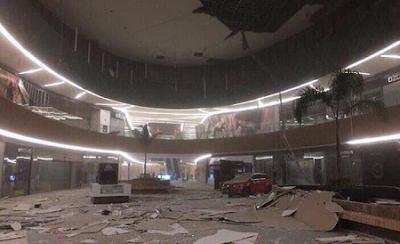 The Associated Press reports that 5 have died in Mexico's Tabasco and Chiapas states amid falling buildings and hasty evacuations.